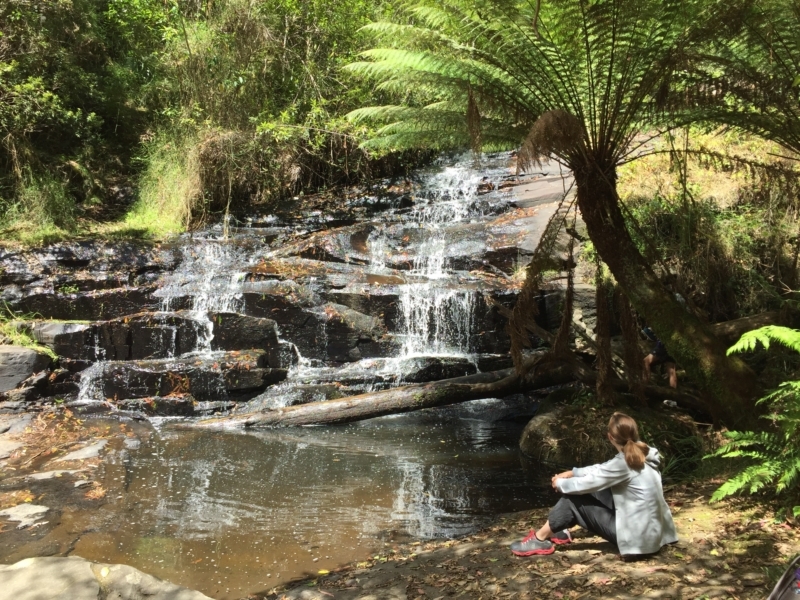 The Cora Lynn Cascades may not be the most spectacular falls in the Otways, but they are certainly beautiful. And the fact they are not a major tourist attraction means you can avoid the crowds you might find at some others. 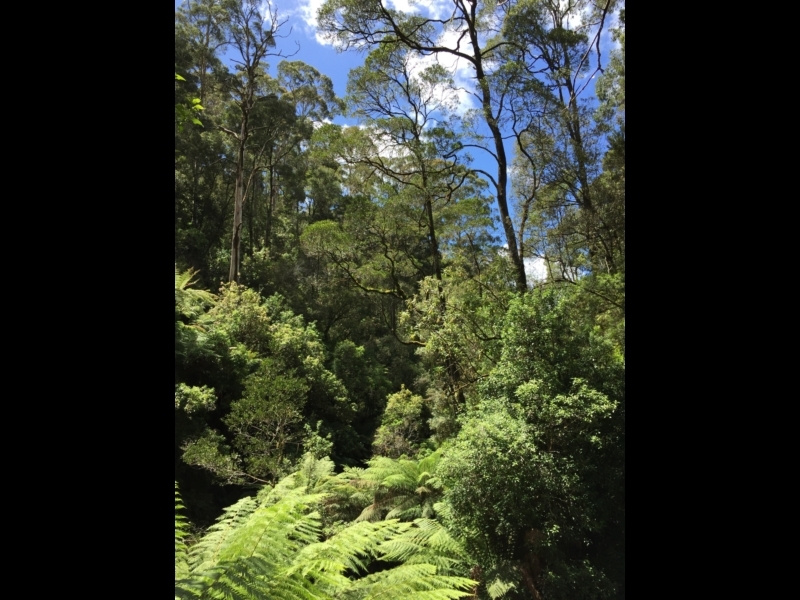 The walk takes you through beautiful rainforest, dominated by tall gum trees, but also featuring a lot of tree ferns and other plants and trees not found in drier inland forests. 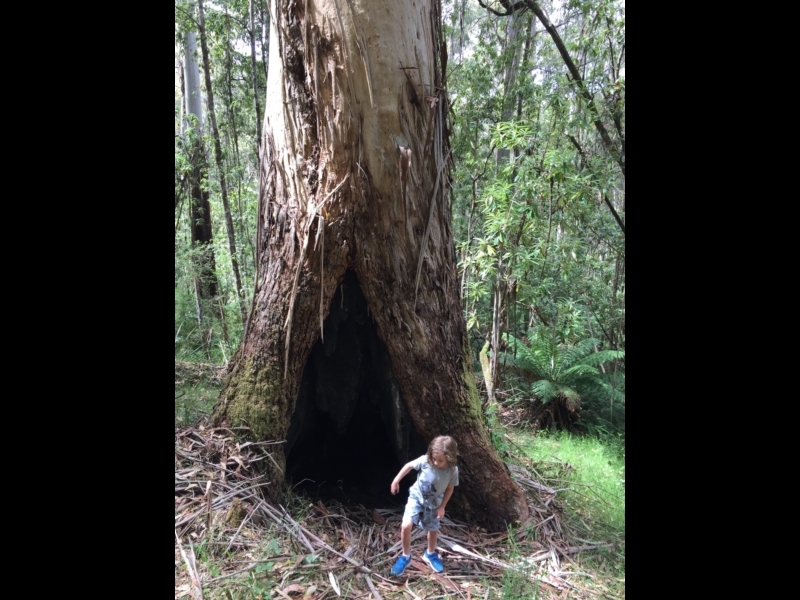 Although the forest in this area was logged many years ago (remarkably, government logging in the forests that now form the Great Otway National Park only ended in 2008), some very large old trees remain on this walk. The walk starts and finishes at the Blanket Leaf Picnic Area, with a car park, long-drop toilets and an information sign (no rubbish bins). 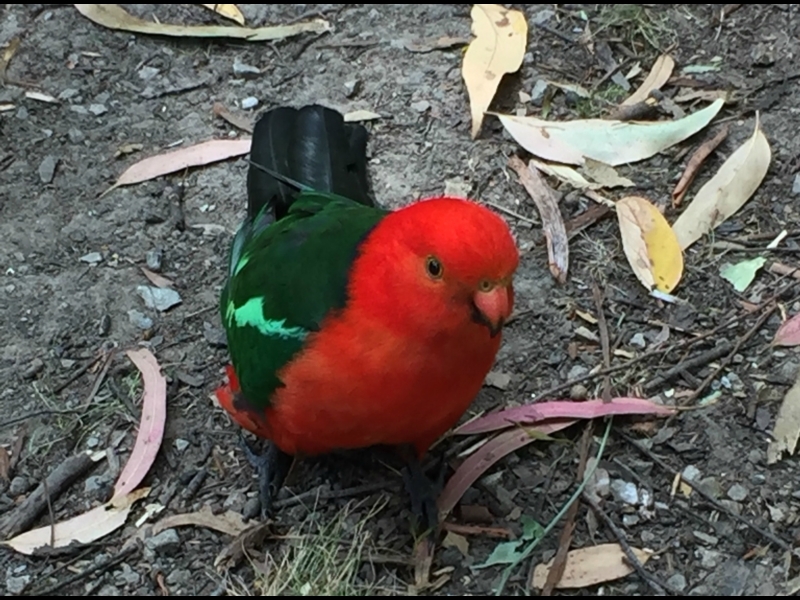 There are picnic areas and tables in the forest away from the car park and other facilities - it really is a good spot for lunch. 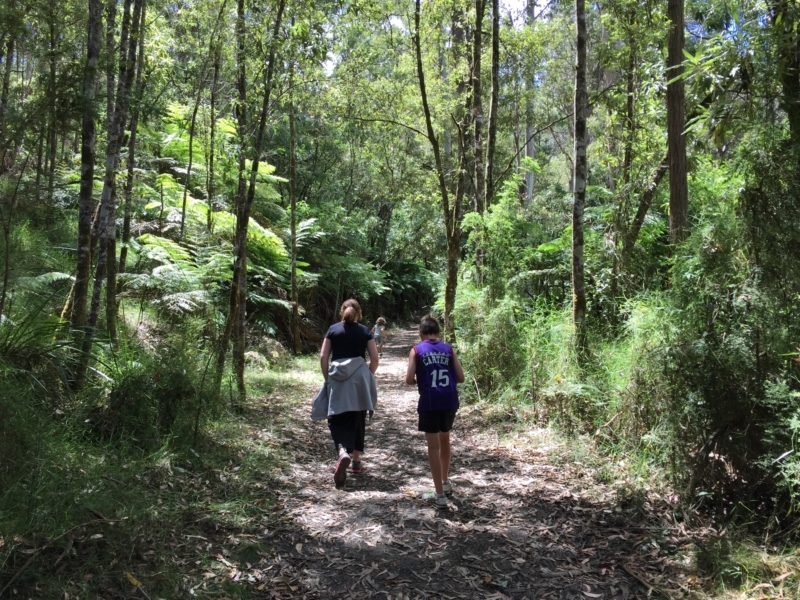 The track is generally well-formed and easy to navigate, however it is very hilly - down hill from the picnic area to the Cascades and uphill on the way back. This makes it hard enough to deter most tourists, so you get a waterfall walk without the crowds. The last part of the track next to the stream may be muddy, especially during wet periods. 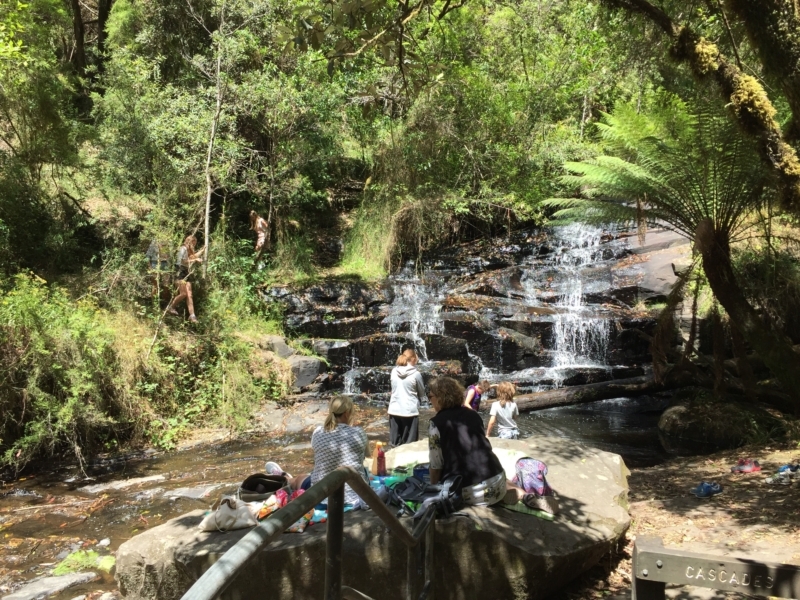 When you get to the Cascades you might want to have a good look around - there is actually a series of waterfalls to see, but some require crossing the stream or scrambling down steep informal tracks to get a good look. Don't go off the main path unless you are confident in climbing around and try not to damage any vegetation. - Dogs are not permitted on this walk. - The website has automatically calculated the length of this walk at 5.4km, however some tourist information suggests it is about 4.2km (2.1km each way). It should take about 1.5 hours to walk, but with stops allow 2 hours. 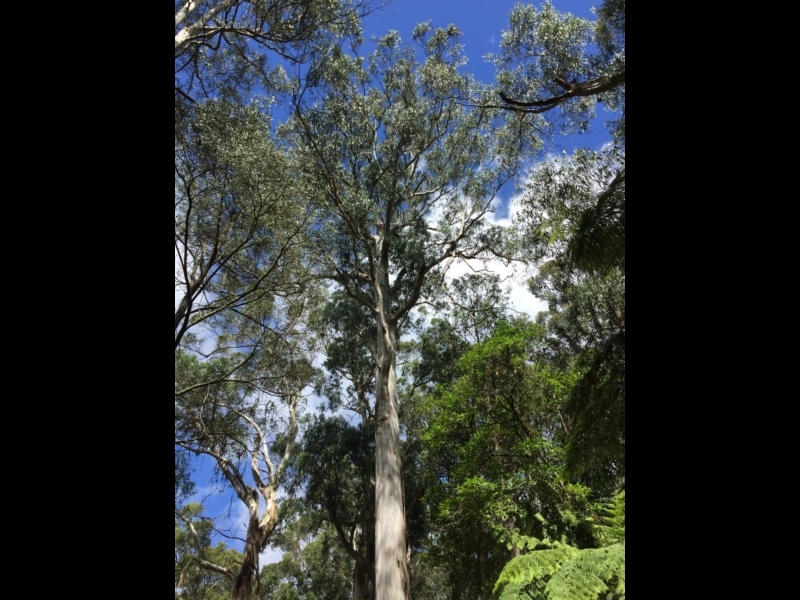 Being a wetter forest, there are smaller types of trees amongst the gums. 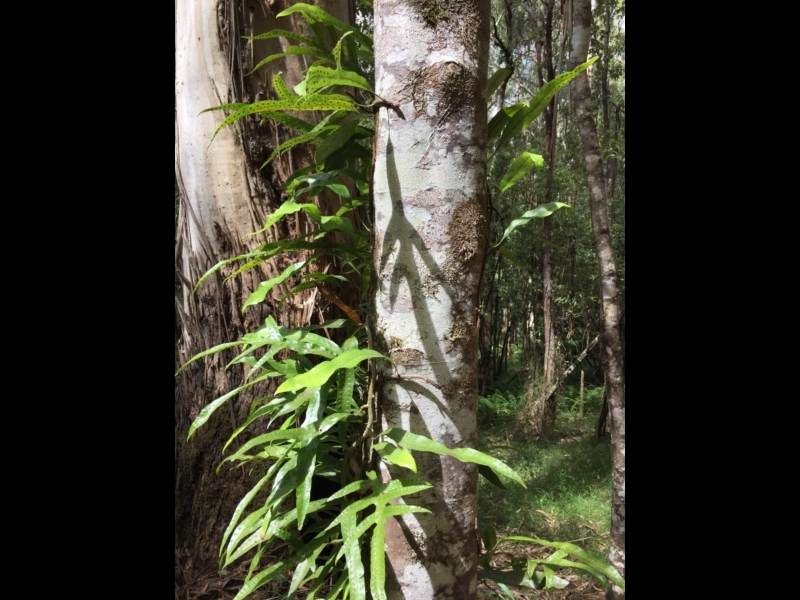 Some have interesting and beautiful bark (this one has another plant growing on it too). Some of the trees are hollow at the bottom - fun for exploring, but not if you don't like bugs. 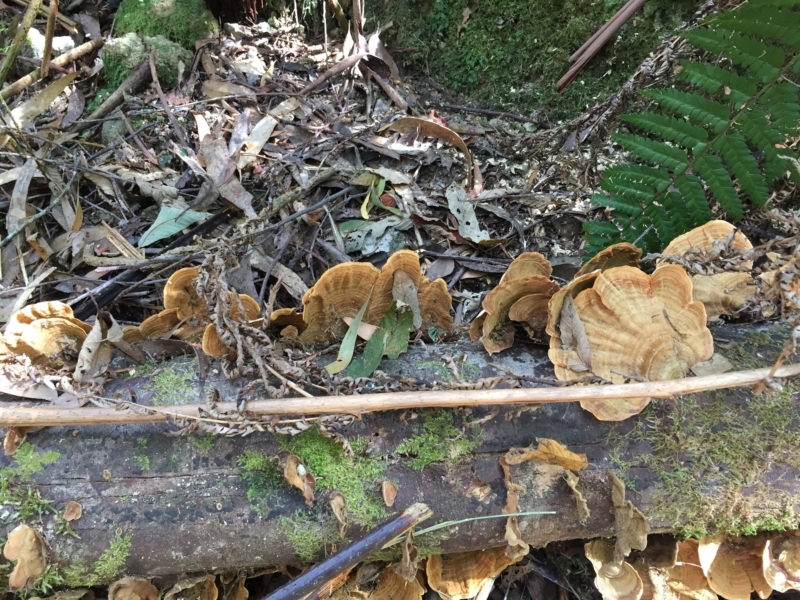 Keep your eye out for interesting fungi, especially on the wetter parts of the walk. At the Cascades there is a large rock to sit on. If you're feeling adventurous, you can step across the stream and climb the bank to explore above this waterfall. 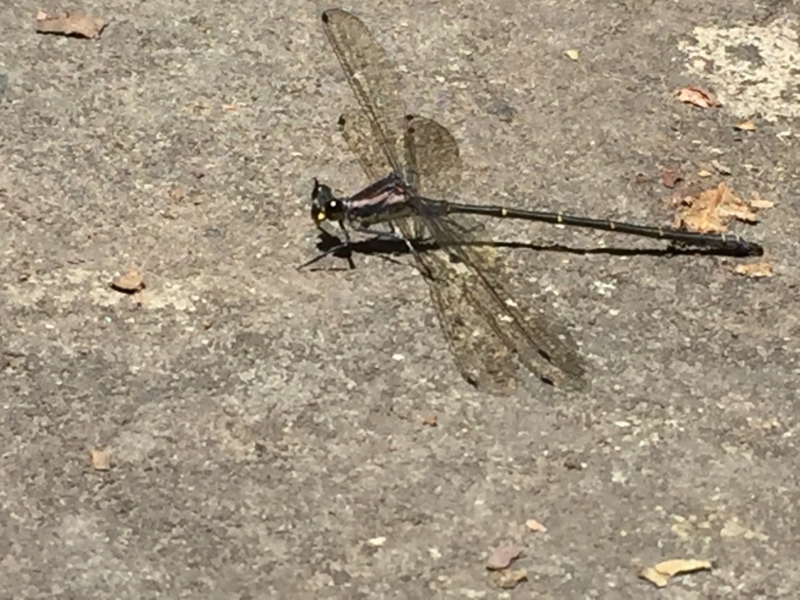 It would be easy to think there is no wildlife at the Cascades, but interesting bugs like this dragonfly can be found both in and around the creek. At the bottom of the wooden steps just before you get to the Cascades, take a moment to admire this view of the forest down the valley. The picnic area really is a great place for lunch. But be careful of this guy - he will steal it if you let him!